This article was last updated Jul 05, 2018, but some terms and conditions may have changed or are no longer available. For the most accurate and up to date information please consult the terms and conditions found on the issuer website. 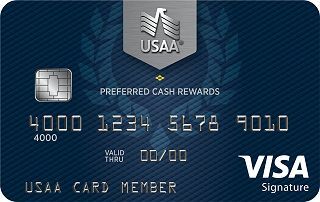 Secured cards, like the USAA Secured American Express® Card , are similar to traditional, unsecured credit cards, but they require a minimum deposit which becomes your line of credit. The minimum deposit for the USAA Secured American Express® Card is $250, and you can deposit up to $5,000 and request a higher credit limit. The money you deposit is still yours as long you don’t default on payments. Plus, deposited money goes into a CD which earns interest. If you have fair/poor credit, a secured card may offer better qualification chances than credit cards that require good or excellent credit and possibly better terms than cards for bad or fair credit. And, when used with responsible credit behavior like paying on-time and not overspending, this card may improve your credit score so you can qualify for an unsecured card in the future. Just keep in mind there’s a $35 annual fee, and you can find secured cards without annual fees. Wide range of travel benefits. Purchase travel with your card and you may be covered for select situations like damage to a rental vehicle, baggage delay, and cancelled trips due to illness. Terms Apply. 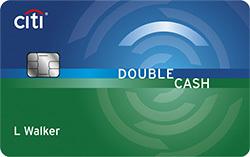 Refer to the additional card benefits section below for more information. Another travel perk is the lack of foreign transaction fees that can save you the average 3% fee other cards may charge on purchases made outside the U.S.
USAA provides all its credit card holders with military interest rate benefits. If you’re an active duty military member and are deployed while your account is in good standing, you may receive a reduced interest rate of 4%. Purchases made before and after active duty may be covered if you qualify. This is a helpful feature that can save you racking up high interest charges while you serve and is a better rate than the 6% provided by the Servicemembers Civil Relief Act (SCRA). Find out more about this benefit here. $35 annual fee. Unfortunately, this card has a $35 annual fee. 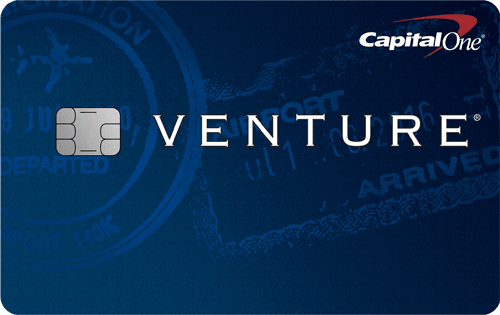 While this fee may be worth it if you use the card responsibly and build credit, you can still find secured cards with no annual fees. However, these cards may lack the military and travel benefits offered by the USAA Secured American Express® Card . Rental car insurance*: When you rent an eligible vehicle for 31 consecutive days or less, you may be covered for damage or theft, reasonable loss of use charges, and towing charges. Travel accident insurance*: Pay for your trip with your card, and you may receive coverage for accidental death or dismemberment up to a maximum of $500,000. Baggage delay insurance*: Use your card to pay for your trip fare and if your baggage is delayed more than four hours, you may be reimbursed for incidentals up to $100 a day for three days. Trip cancellation/interruption insurance*: When you pay for travel on a common carrier (airplane, train, etc.) and cancel travel or cut your trip short due to covered situations like accidental injury or physical illness, you may be reimbursed up to $1,500. Travel assistance services*: Receive referrals for emergency medical assistance and legal issues when you travel 100 miles or more from home. Road assist service*: If your card breaks down during a trip in the 50 United States or D.C., simply call 888-884-6643 and assistance will be on the way for many services like gas delivery, tire changes and towing. *Terms Apply. Refer to your Guide to Benefits for more detail. If you want a $0 annual fee secured card, the Discover it® Secured is a great alternative. The Discover it® Secured is our top pick for secured cards, since it offers a wide range of benefits all at a $0 annual fee. There’s a cashback program where you can earn 2% cash back at gas stations and restaurants on up to $1,000 in combined purchases every quarter, automatically. 1% unlimited cash back on all other purchases. Plus, Discover will automatically match all the cash back you earn at the end of your first year. That’s compared to the USAA Secured American Express® Card with a $35 annual fee and no rewards program. The Discover it® Secured is also a great choice if you want a secured card with a lower minimum security deposit — the deposit is $200 compared to USAA Secured American Express® Card ’s $250. The lower deposit can be helpful if you don’t have the additional $50 required by the USAA Secured American Express® Card . If you’re a military member or eligible family member who has fair/poor credit, a secured card like the USAA Secured American Express® Card may provide you the basis to build credit — just beware of the $35 annual fee. Earn 1.5% cash back on every purchase with no limits or category restrictions.